Last Game: Saturday at home against the Albany Devils, the Penguins won 4-0. Rookie goaltender Tristan Jarry had a 22 save shutout for his first as a professional. Kevin Porter had two goals. For Lehigh Valley, the Phantoms beat the Springfield Falcons 5-4 in a shootout on Saturday. Andrew MacDonald had two goals. Last Meeting: Last Friday in Allentown the Pens won 4-0. Matt Murray had 23 saves for another shutout. Why you should care: It will be a bit of a new look for the Penguins with Steve Oleksy out of the lineup and Conor Sheary, Kevin Porter and Matt Murray on recall to Pittsburgh. 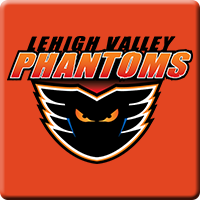 The Phantoms will be out to avenge their 4-0 shutout to the Penguins last Friday. Other Game to Watch: Rochester and Utica have been on the rise in the North Division of late and the two teams clash tonight in Utica.